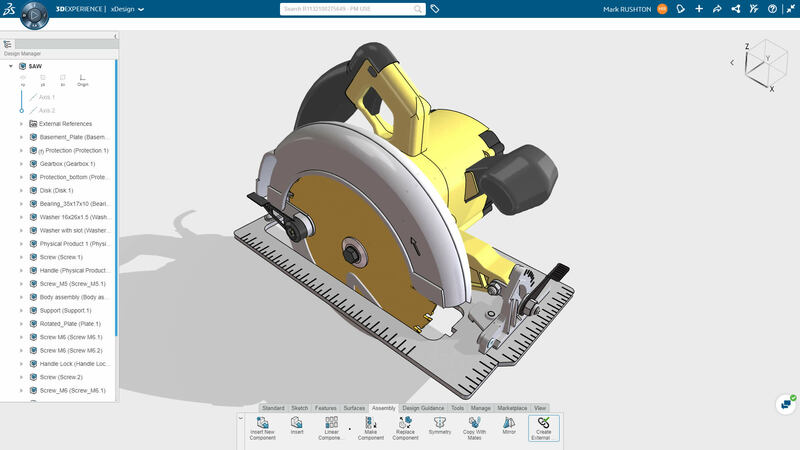 New portfolio of company’s digital applications on the 3DEXPERIENCE platform is tailored for SOLIDWORKS customers and mid-market companies. Ease of use and simplicity will allow organizations to benefit from the platform effect to transform their business and deliver new experiences in today’s Industry Renaissance. 3DEXPERIENCE platform will become the benchmark for business operations for mid-market companies. Dassault Systèmes (Euronext Paris: #13065, DSY.PA) today announced the creation of 3DEXPERIENCE.WORKS, a new portfolio of industry-aware applications on the 3DEXPERIENCE platform that is tailored to the needs of SOLIDWORKS customers and small and midsized companies everywhere. 3DEXPERIENCE.WORKS uniquely combines social collaboration with design, simulation and manufacturing ERP capabilities in a single digital environment to help growing businesses become more inventive, efficient and responsive in today’s Industry Renaissance. “Small and mid-sized firms worldwide need digital solutions to grow but have long been challenged to find ones that are right for their size. By introducing 3DEXPERIENCE.WORKS, we bring the platform effect to them,” said Bernard Charlès, Vice Chairman and CEO, Dassault Systèmes. 3DEXPERIENCE.WORKS will allow small and mid-sized companies to harness the values that the 3DEXPERIENCE platform delivers to global leaders and innovators: improved collaboration, manufacturing efficiency, business agility and an empowered workforce. Companies can accomplish their work using one cohesive digital innovation environment instead of using a complex series of point solutions that requires jumping between applications and interfaces. 3DEXPERIENCE.WORKS connects data and streamlines processes from concept to delivery by providing dashboard templates, managed services, access to industry-focused communities and user groups, and applications specific to a variety of job roles.